This is our guide talking to us in the theater. The floor obviously is modern. I have seen earlier photographs of the theater which show that there is water underneath the floor. In the background, just past where those people are sitting, you can see the arches of a shrine to Asclepius, the god of healing. 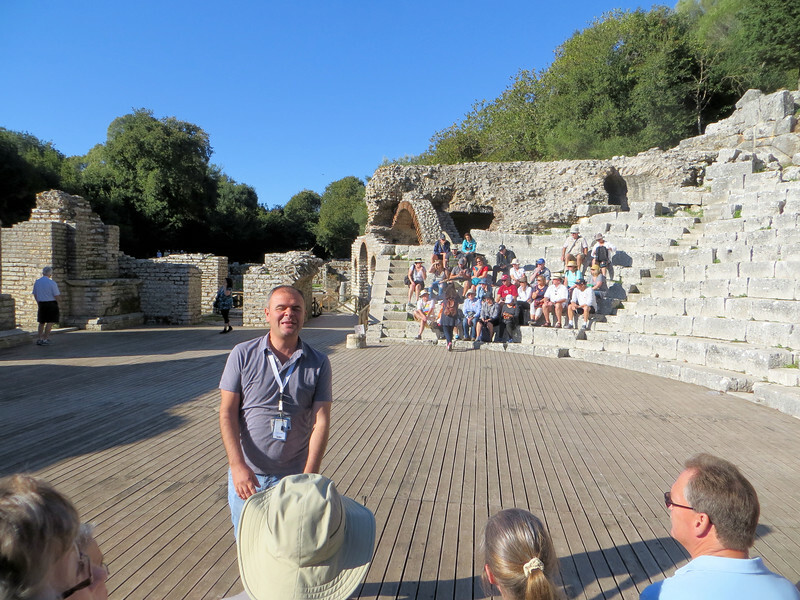 A cult of his followers lived in Butrint.